Russian Deputy Foreign Minister Sergei Ryabkov said Monday that Israeli airstrikes on Syria are unlawful and cannot be justified, while also stressing that Moscow was taking into consideration the defense needs of the Jewish state. 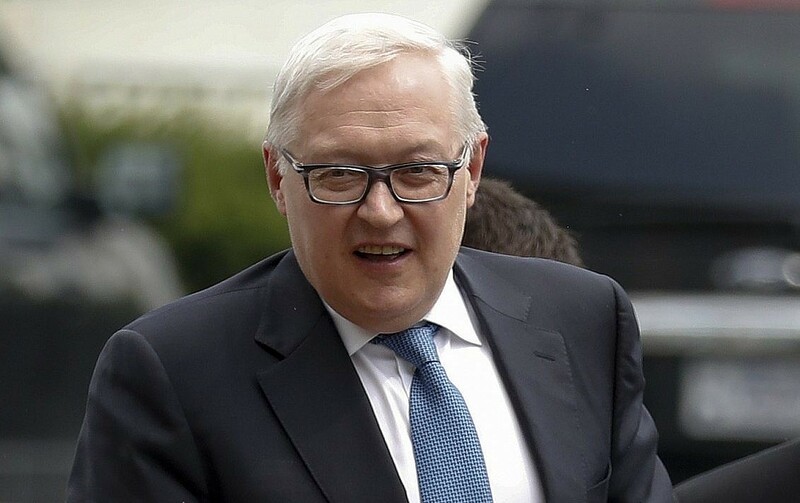 “For us, the security of Israel is of paramount importance,” Ryabkov told reporters, according to Russian media. “Having said this, I don’t say that Israel’s unlawful attacks on targets in Syria, including targets that are in one way or another connected with Iran, that these attacks are legitimate and can be justified,” he said. 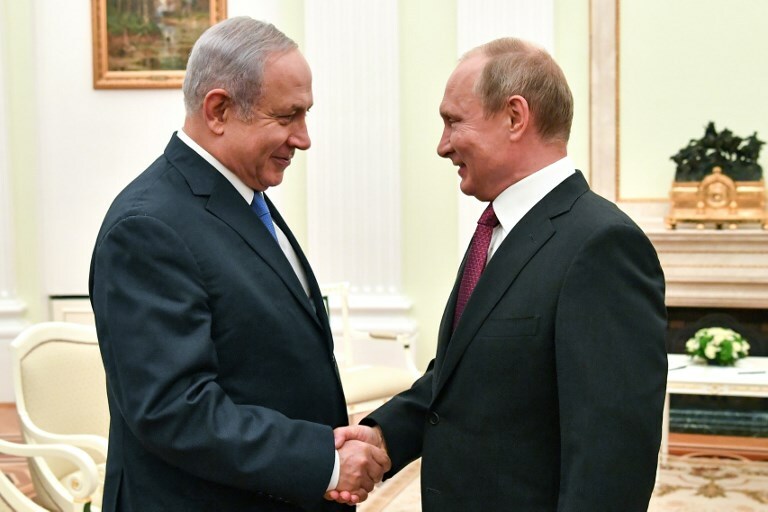 Last week Prime Minister Benjamin Netanyahu said he would fly to Russia on February 21 for talks with Russian President Vladimir Putin focused on Iranian efforts to establish a military presence in Syria. Israel’s relations with Russia have seen some tensions lately over Jerusalem’s ongoing campaign of airstrikes on Syria. In recent years, Israel has conducted hundreds of attacks in Syria against targets it says are linked to Iran, which, alongside its proxy military groups and Russia, is fighting on behalf of the regime of President Bashar Assad. Israel has said Tehran is seeking to establish a permanent presence along its northern border, an effort it vows to thwart. Israel’s airstrikes have routinely been coordinated with Russia. However, the number of airstrikes in Syria attributed to Israel has dropped in recent months after a Russian military plane was downed by Syrian air defenses. That plane was hit during an Israeli attack on Latakia last September, killing all 15 servicemen aboard. Russia blamed the Israeli military for that incident — a charge rejected by Jerusalem — and in response supplied Syria with the advanced S-300 air defense system. The systems were delivered to Syria late last year, but they are not yet believed to be in use, as the Syrian air defense teams still need to be trained to operate them. Israel has repeatedly said it will not allow Iran, or its Shiite proxies, to establish a permanent presence in post-war Syria. On January 27 Israel conducted a rare daylight missile attack on Iranian targets in Syria. In response, Iran fired a surface-to-surface missile at the northern Golan Heights, which was intercepted by the Iron Dome missile defense system over the Mount Hermon ski resort, according to the Israel Defense Forces. The IDF said that Iranian troops in Syria launched the missile at the Golan in a “premeditated” attack aimed at deterring Israel from conducting further airstrikes against Iranian military targets there. 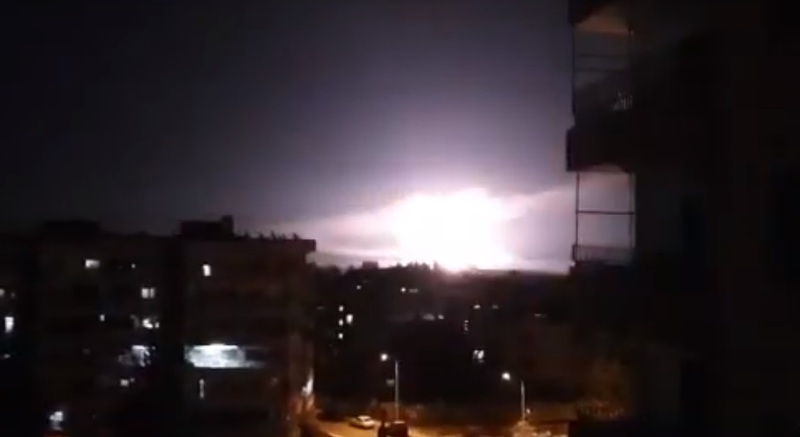 Hours later, in the predawn hours of the following day, the Israeli Air Force launched major retaliatory strikes on Iranian targets near Damascus and on the Syrian air defense batteries that fired upon the attacking Israeli fighter jets, the army said. Twenty-one people were killed in the Israeli raids in Syria, 12 of them Iranian fighters, a Britain-based Syrian war monitor said. This entry was posted on February 11, 2019 at 4:52 PM and is filed under Uncategorized. You can subscribe via RSS 2.0 feed to this post's comments. You can skip to the end and leave a response. Pinging is currently not allowed.